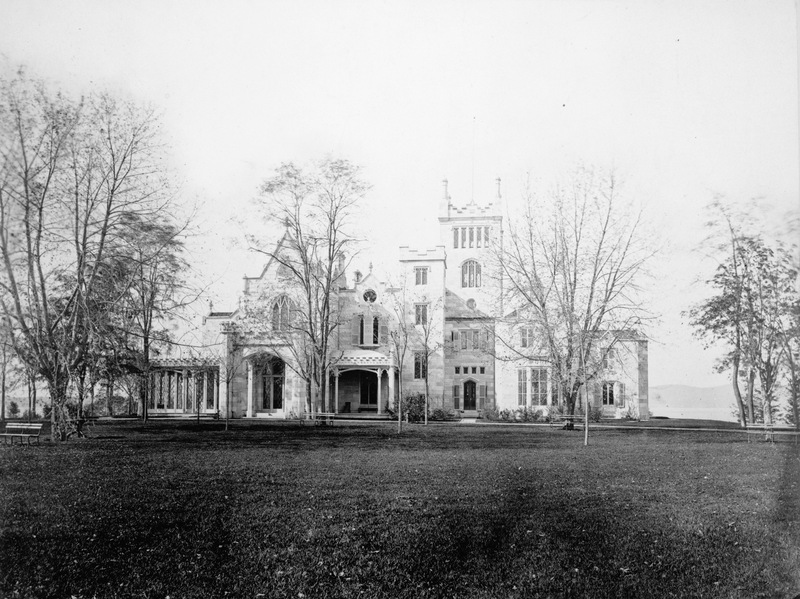 Lyndhurst, a National Trust for Historic Preservation historic site and a National Historic Landmark, in Tarrytown, New York, is primarily known for its 1838 Gothic Revival mansion. In fact, the mansion draws so much focus that it often overshadows the rich history of the picturesque landscape surrounding it—the specimen trees; sweeping lawns; romantic gardens; and a massive greenhouse structure that was once filled with orchids, palm trees, and many other exotic florae. Today the Lyndhurst staff are doing the essential work of restoring the Lyndhurst landscape to serve an audience for whom its beauty and significance are on par with those of the mansion. Architect Alexander Jackson Davis envisioned and designed architecture and an open riverfront landscape that were inextricably connected. 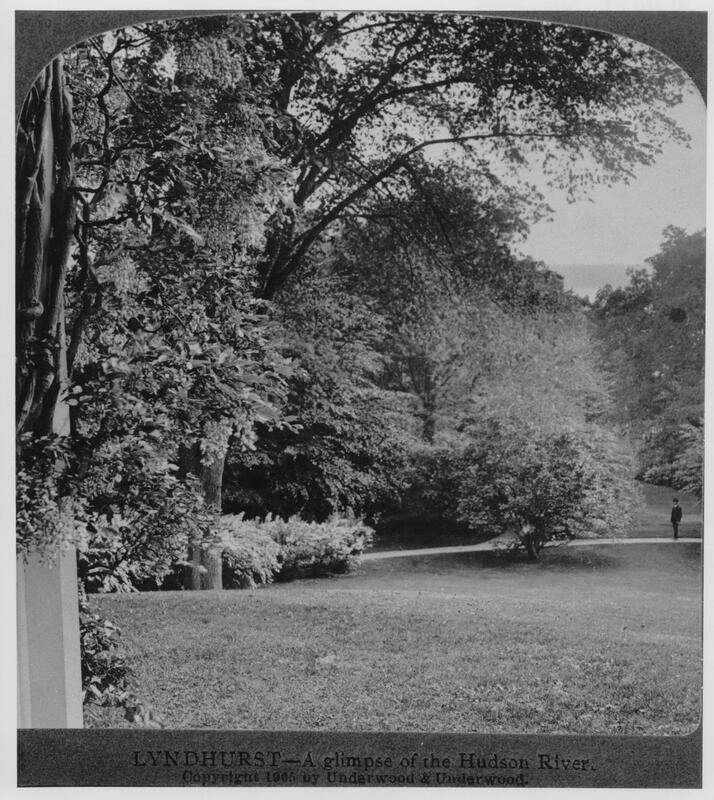 Lyndhurst’s second owner (1864–79) New York merchant George Merritt employed German master gardener Ferdinand Mangold to develop the estate grounds to include rare trees and a more “gardenesque” appearance. 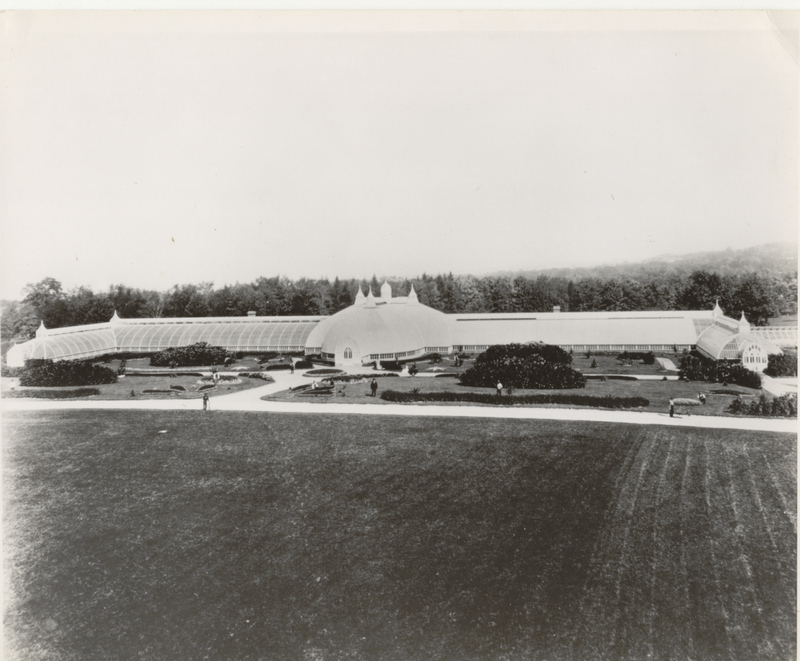 Third owner (1880–92) railroad tycoon Jay Gould specifically chose the property as a summer retreat for his family in part for its horticultural aesthetics and large greenhouse. Gould kept Mangold on and used his talents to continue developing the landscape. After Gould’s death, his eldest daughter, Helen Gould, took over ownership of Lyndhurst. She continued to employ Mangold until his death in 1905, developing and refining significant parts of the 426-acre estate. When Helen died in 1938, her younger sister, Anna Gould, Duchess of Talleyrand, took ownership of Lyndhurst, but spent little time at the estate, choosing to live mostly in New York City. Given Anna’s absence from Lyndhurst, and reports of staff being laid off in the wake of Helen’s death, it had been inferred that the grounds, greenhouse, and property in general likely faced neglect in the 1940s and ’50s. This understanding was supported by the greenhouse closing in 1945 and Anna auctioning off its orchid collection to raise money for the Red Cross. The staff at Lyndhurst has embarked on a multistage restoration project to bring renewed attention to the site’s important and integral landscapes. 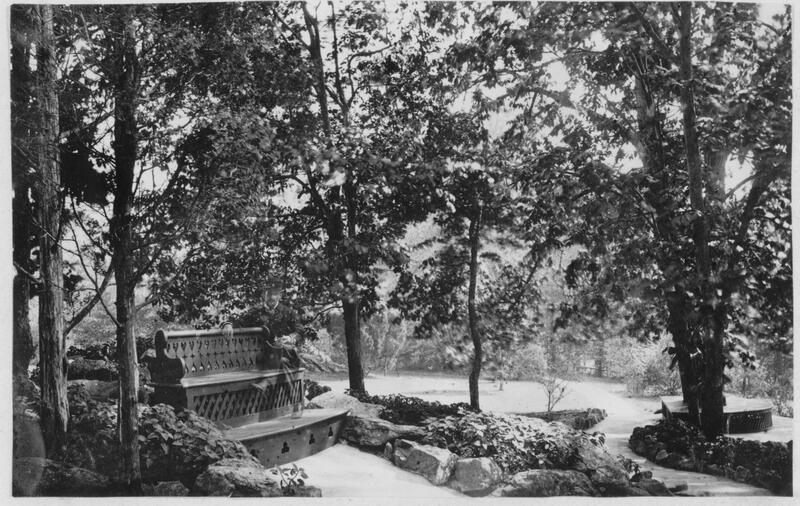 The first areas of focus are the lawn and slope just south and west of the mansion, where as early as 1870, an arcing path led from the veranda to three “rockeries.” Photographs of these rockeries, which served as secret cooling grottos and provided sweeping views of the Hudson River, are some of the earliest remaining images of the Lyndhurst landscape. Only one of the rockeries is still accessible to visitors, as the other two have long since receded, and all that remains of the pathway that connected them is an indentation in the grass. Bringing the rockeries back to the landscape—and back to life, as it were—is a large undertaking. Staff have spent a lot of time combing the images, notes, and newspaper clippings in Lyndhurst’s archives for evidence of this lost landscape. This research has uncovered early images of the property dating to the 1870s as well as documentation from around the turn of the 20th century. 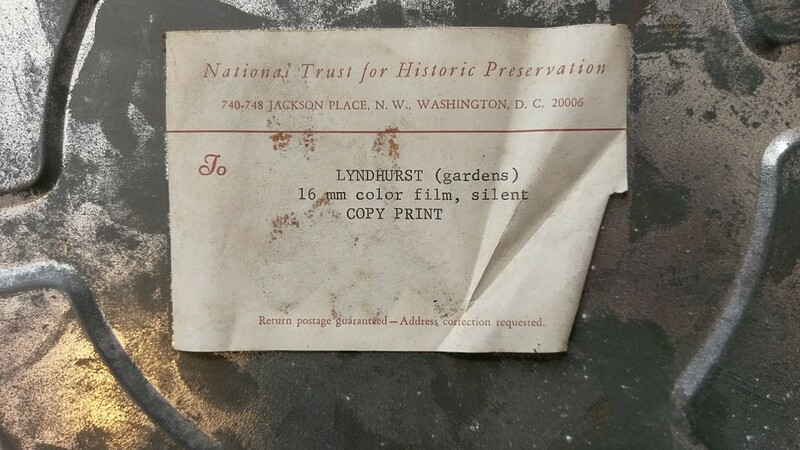 Overall, though, staff found very little such documentation of the grounds dating from between the beginning of the 20th century and the early 1960s, when the National Trust acquired Lyndhurst. Until, that is, an unassuming reel of 16mm film surfaced in the Lyndhurst archives—and opened a new world of living color. 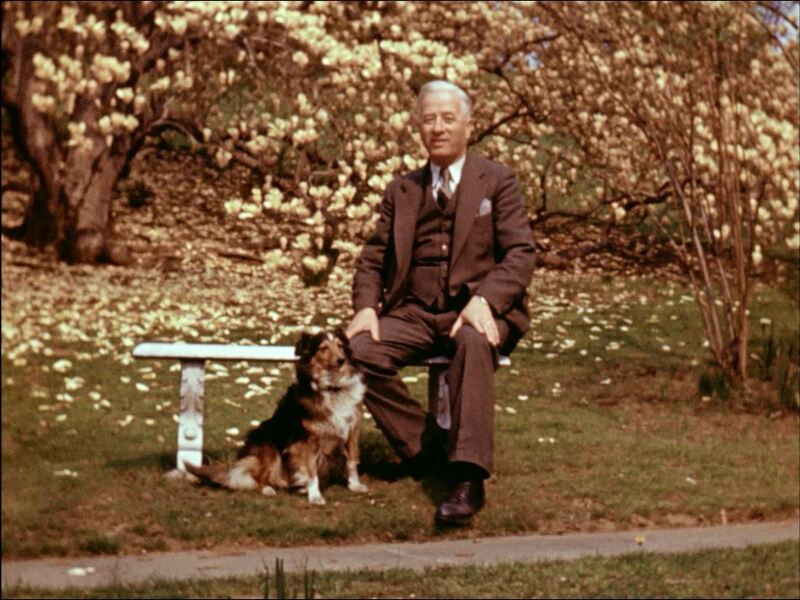 The reel, which was found sitting at the back of a closet, was labeled “Lyndhurst Gardens, 1972,” but on it were 33 minutes of edited color footage from 1942. (Staff were able to establish the date based on a license plate that appears in the film.) The film captures various locations around the garden landscape in long, panning shots. A few shots show the mansion draped in purple and white Chinese wisteria and largely obscured by many trees and shrubs. The film moves along the rockery path as it exits the veranda, cuts to the vivid rose garden, and reveals the many different types of flowers growing in the massive greenhouse. The anonymous filmmaker spends time with some of the staff as they smile for the camera, leading the viewer down gravel pathways, through canopied secret gardens, and along layered hedgerows. It even reveals a treehouse, shadowy and obscured by the branches of a large birch tree. The discovery of this film is significant because it offers, for the first time, a tangible look at the landscape during the period when Lyndhurst was owned by Anna Gould. It had previously been understood that all staff, save for Lyndhurst’s superintendent, Robert B. Allan, were let go when Helen Gould died and that the gardens had consequently languished while Anna occupied the property only part-time. The film proves that this wasn’t the case—that in 1942, the Lyndhurst landscape still very much reflected Helen’s careful stewardship. The gardens are lush; the lawns are mowed; and the staff are visible as they drive lawn cutters, water the gardens, and work diligently in the greenhouse. 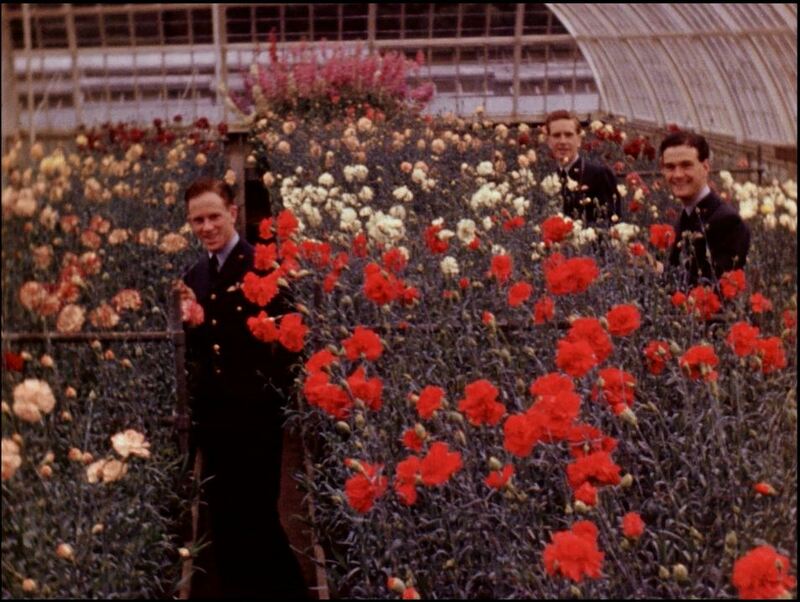 The footage also shows Royal Air Force pilots visiting the property and enjoying the greenhouse and the orchards. Anna provided respite for wounded soldiers on parts of her estate during World War II. Perhaps the most unique thing about the film is having been shot in color in the spring and summer of 1942. While color film was available for the home consumer by that time, the logistics and cost of getting it developed precluded its widespread use. 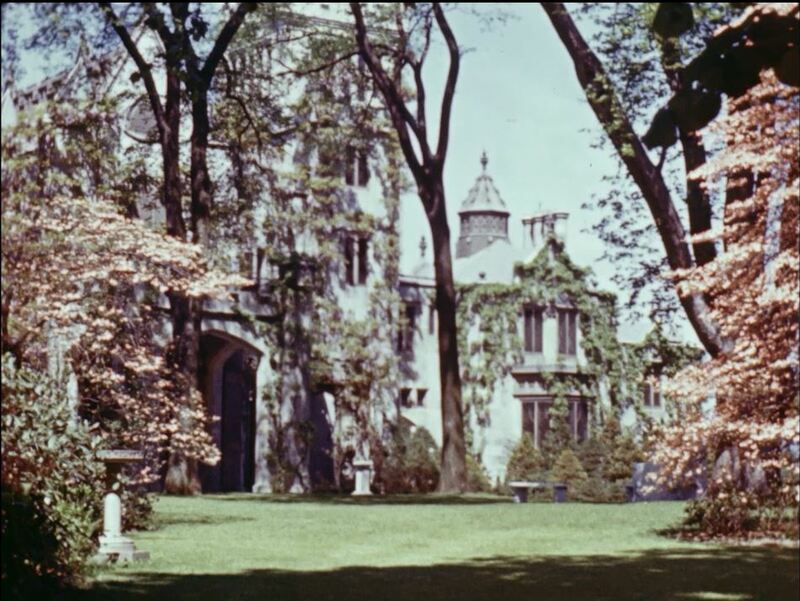 Finding this color footage of the previously unseen was truly a boon for the preservationists at Lyndhurst. 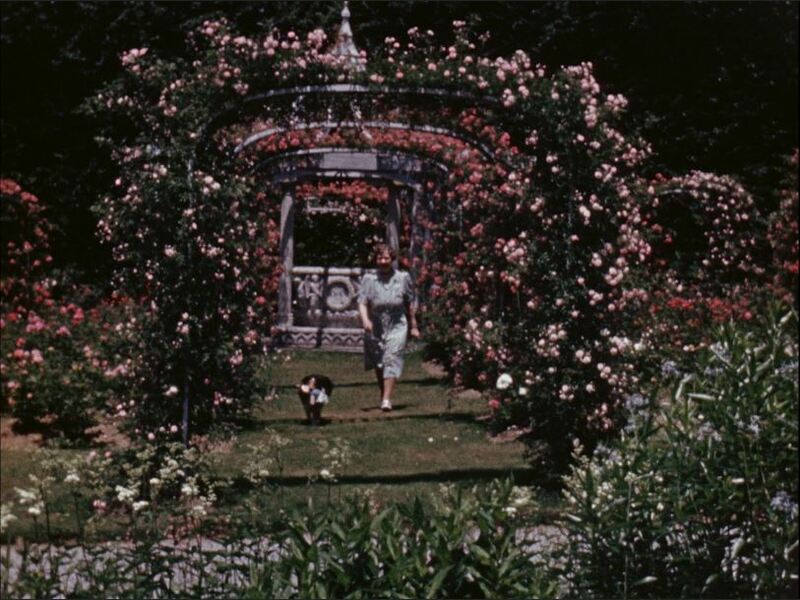 Seeing the Lyndhurst estate on film and in full color, landscape architects have identified certain flowers and plants, which allowed them to analyze how the gardens did and did not reflect the fashions of the time. 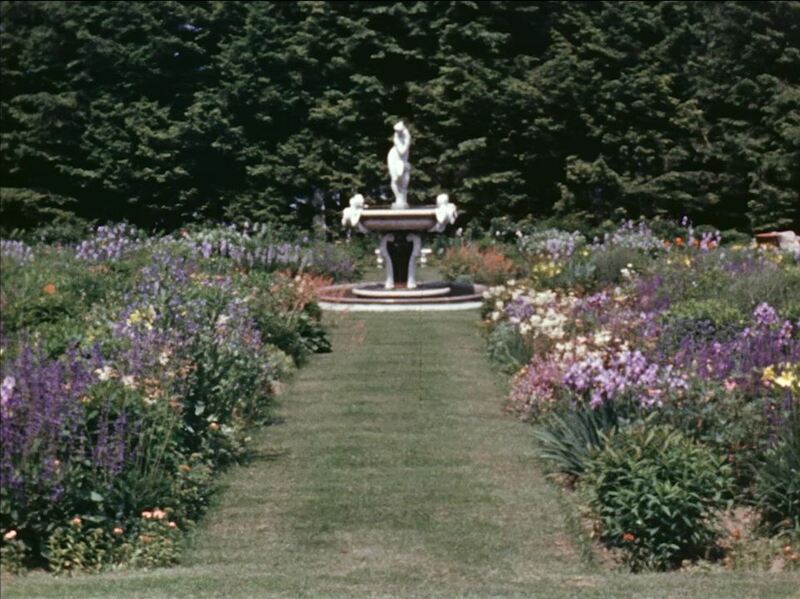 Helen Gould, whose influence on the landscape was still palpable in 1942, seems to have had very traditional tastes as far as plant choice, but much more unique tastes in color scheme. The footage, which will soon be viewable at the Lyndhurst visitor center, has also led to more research into the staff that lived and worked on the property. Attempting to identify the individuals that appear in the film has become a project of its own. Staff have recognized the two people who appear in the footage most frequently—Robert B. Allan and his wife, Mary Allan—and research is ongoing to identify the others. Perhaps most importantly, the film has helped us identify the choices that Helen Gould made to preserve the memory of her father through her continued maintenance of the gardens and grounds at Lyndhurst. The landscape we see in the footage and interpret as the gardens of Helen Gould is also a continuation of what the previous owners of Lyndhurst—her father and even George Merritt and Ferdinand Mangold—had established. In that way, the film allows us to not only see a snapshot of the Lyndhurst landscape in 1942 but also more clearly trace its evolution over time. Emma Gencarelli is the special projects assistant at Lyndhurst, where she started as a restoration project intern in summer 2017. She holds a bachelor’s in fine arts degree in film and a master’s degree in historic preservation. Editor's note: Culture-nature will be one of the topics we explore at PastForward 2018 in San Francisco, November 13–16. Learn more and register today at PastForwardConference.org. If you are participating in the PastForward Challenge for points and prizes (Gamification), please enter the following passcode for the "Blog Post: Lyndhurst" challenge: LYND.